Cooking Matters, which provides free cooking and nutrition classes for adults, children, and families living in underserved communities, is based on the premise that nutrition education should be coupled with cooking lessons so that meals can be healthy and enjoyable. By partnering with local organizations, Cooking Matters achieves both national-scope and optimization through customizability. The Cooking Matters classes emphasize basic cooking skills, money-saving tips, and reading ingredient labels. At the end of each class, participants receive a bag of groceries so that they can re-create the meal they learned to make during that class. The organization also facilitates free grocery store tours, which help families learn how to effectively purchase healthy groceries on a budget. In the twenty years since its inception, Cooking Matters has expanded to 1,200 locations in 44 states and has also developed online resources with healthy resources and money-saving tips for grocery shopping. Cooking Matters offers free, six-week-long cooking and nutrition classes for adults, children, and families living in low-income communities. The organization also offers free grocery store tours, led by volunteers, which teach families how to compare unit prices on packaged food, read nutritional labels, plan and budget for healthy meals, and identify whole grains. In Cooking Matters cooking courses, volunteer chef and nutrition educators teach essentials like preparing nutritious meals and shopping and budgeting for groceries. The classes emphasize basic cooking skills, including knife techniques, reading ingredient labels, and simple vegetable preparation. At the end of each class, adult and teen participants are given a bag of groceries with the ingredients for the recipes they learned during that day. Cooking Matters also recently expanded into online programming, with a website and mobile app that feature chef-developed, healthy recipes with full nutrition information; it also presents money-saving tips for grocery shopping, such as the MyPlate on a Budget guide. The organization recently partnered with Better Kid Care to provide an online program of the Cooking Matters for Child Professionals. In addition, a web-based training course called “The Learning Space” serves as an educational resource for volunteers and educators who wish to lead grocery store tours in their own communities. Now in its twentieth year, the Cooking Matters program has more than 1,200 locations across the country and has helped more than 265,000 low-income families learn about cooking and purchasing healthy foods. Cooking Matters has expanded to hundreds of locations across the country through its effective partnerships with local nonprofits and organizations. Local organizations customize the program based on their communities’ needs and establish relationships with sites that host their cooking programs or store tours. The combination of professional-level curricula and national support with grassroots resources and relationships allow for the replicability of the program in many areas. 18 Reasons, a partner organization based in San Francisco, exemplifies these mutual benefits. 18 Reasons staff coordinate free cooking classes at community host sites, including schools, shelters, housing sites, and after-school programs. The organization also employs a unique model by hosting higher-end cooking classes that bring in donors while raising awareness and financial support for the Cooking Matters curriculum. Nutrition education often serves as the crux of nutritional programming; however, research suggests that nutrition education is more effective in increasing healthy behaviors when combined with cooking components. Home cooking has declined over the past 40 years, decreasing by almost a quarter (23%), and some are advocating for a new emphasis to be placed on the importance food preparation at home. As the Executive Director of 18 Reasons says, “Nutrition education is dominated by dieticians. It should be dominated by chefs instead.” Cooking Matters classes help families not only learn about healthy eating but also learn how to make healthy foods taste good, how to maximize food resources, and how to tailor family favorites and personal preferences into healthier meals. Indeed, a long-term study conducted by the Altarum Institute indicates that Cooking Matters has been achieving results, with 71% of adults who complete the program eating more vegetables, 66% of teens eating more fruit, and 48% of kids with increased confidence in their ability to make healthy snacks. The study indicated that families were continuing to make more home-cooked meals even six months after the program’s completion. Families’ attitudes toward stretching their ability to purchase healthy food have also improved. The Cooking Matters program isn’t just for adults; in fact, it has special cooking curricula for children, teens, and adults. By partnering in elementary, middle, and high schools, the Cooking Matters program teaches basic cooking skills early on and helps kids and teens learn how to make easy, healthy snacks with fruits and vegetables all on their own. Moreover, the Cooking Matters program for child care professionals helps day care teachers and early childhood educators create healthy food environments for the children in their care. By recruiting volunteers from the community to serve as chefs and nutrition educators, the Cooking Matters program empowers “health promoters,” who serve as peer educators in the communities they are from. After completing 8 session trainings, these health promoters teach cooking classes in their communities. Organizations like 18 Reasons offer small stipends for these promoters’ work. Partnering with health promoters and host sites with established communities also makes recruitment easier, thereby reaching more at-risk individuals. 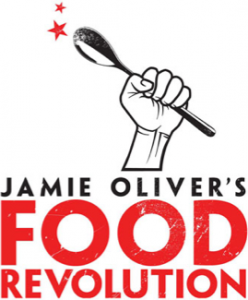 Cooking Matters has expanded broadly in recent years, with locations now in 44 states. In 2013, the program reached 49,364 participants—50% more participants compared to 2012. Moreover, Cooking Matters is rapidly expanding to new national partnerships with the National Head Start Association and Public Health Solutions. Through partnerships with Head Start, particularly, the organization is aiming to teach more families with children age five and under. Cooking Matters is also seeking to expand its digital resources; its mobile app had 20,000 downloads after its release in 2013. Volunteers form the basis of the Cooking Matters education team, as they serve as Store Tour Leaders, Six-Week Course Instructors, and Course Assistants. In the year of 2013, the program had 3,216 course and tour volunteers; 98% of these volunteers said they would be willing to teach another course. While the use of volunteers greatly diminishes the cost of teaching and delivering the program, the heavy reliance on volunteers may ultimately limit expansion. Moreover, the program limits its ability to enlist “peer educators” or “health promoters” from local, under-resourced communities unless volunteers are given stipends those provided by 18 reasons. Cooking Matters does partner with AmeriCorps members who serve on site across the country. In order to help families access the food they need, Cooking Matters collaborates with SNAP and works to protect SNAP funding. Although demonstrating vast success, especially in recent years, Cooking Matters may be potentially limited due to a number of factors, including reliance on volunteers to fill staffing needs. Moreover, while a follow-up study has assessed the impact of the program on behavior change after three to six months, there has been no research on the longer-term impact of the program. Peter J Curtis, Ashley J Adamson, and John C Mathers, “Effects on Nutrient Intake of a Family-Based Intervention to Promote Increased Consumption of Low-Fat Starchy Foods through Education, Cooking Skills and Personalised Goal Setting: The Family Food and Health Project,” British Journal of Nutrition 107, no. 12 (2012): 1833–44. Lindsey P. Smith, Shu Wen Ng, and Barry M. Popkin, “Trends in US Home Food Preparation and Consumption: Analysis of National Nutrition Surveys and Time Use Studies from 1965–1966 to 2007–2008,” Nutrition Journal 12, no. 1 (2013): 45, doi:10.1186/1475-2891-12-45. 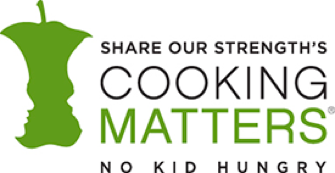 Share Our Strength, “Cooking Matters,” Share Our Strength, n.d., https://cookingmatters.org.